At times, the task of getting wood to sink in an aquarium can be very annoying. Saturating a wood piece can take days and that is the very reason why you need to employ a number of other techniques in order to get the job done without having to wait for too long. If you are not in a hurry, saturating the wooden piece with water will be your best shot at getting it to sink in an aquarium. Fill a pot large enough to submerge the piece of wood completely under water. Saturating wood can be time consuming so do not get impatient. Keep the wood soaked in water until it is completely saturated and does not return to the water surface even if you remove the weight holding the wooden piece to the bottom of the pot. Depending on the size and type of the piece of wood, it may take anywhere from two to four days to fully saturate it. Leach tannins can cause water discolouration in an aquarium and can be harmful to some fish as well. Keeping the wood submerged underwater can also help remove these tannins provided that water in which the wood has been soaked is changed at least once every day. 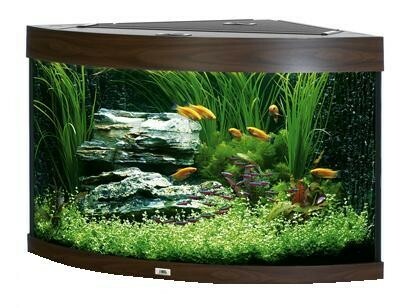 Another way to get wood to stay at the bottom of an aquarium is to place the right amount of weight on the wood within the aquarium. With the passage of time, the wood gets saturated eventually after which you can remove the weight. Remember that if the weight you placed on the wood slips, the wood will float to the surface and may cause damage to the aquarium or injure the fish. Glue a dense piece of slate to the wood using silicone. Ordinary glue will not work because water will quickly wear it off. Silicone on the other hand is water resistant and will hold the piece of slate in place within the aquarium. Make sure that the silicone you use is nontoxic. Place the slate attached wood in the aquarium. It will sink to the bottom of the aquarium because of additional weight of the dense piece of slate.